This year for our group summerlicious meal, I wanted to try an established restaurant, one that has proven to deliver great meals over time. 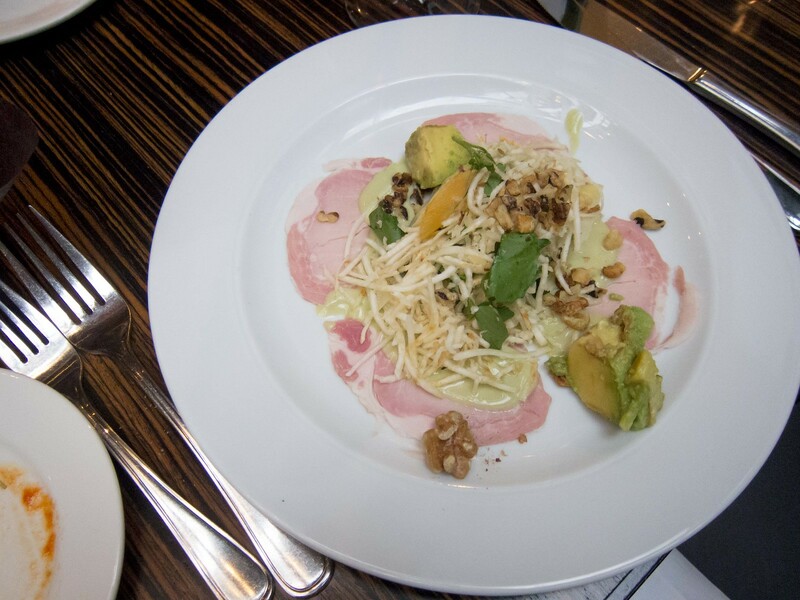 Having had lovely dinners at other Oliver & Bonacini’s restaurants, Luma and Auberge du Pommier, I had high expectations for Jump. Unfortunately, while the service and atmosphere were top-notch, the food was underwhelming. 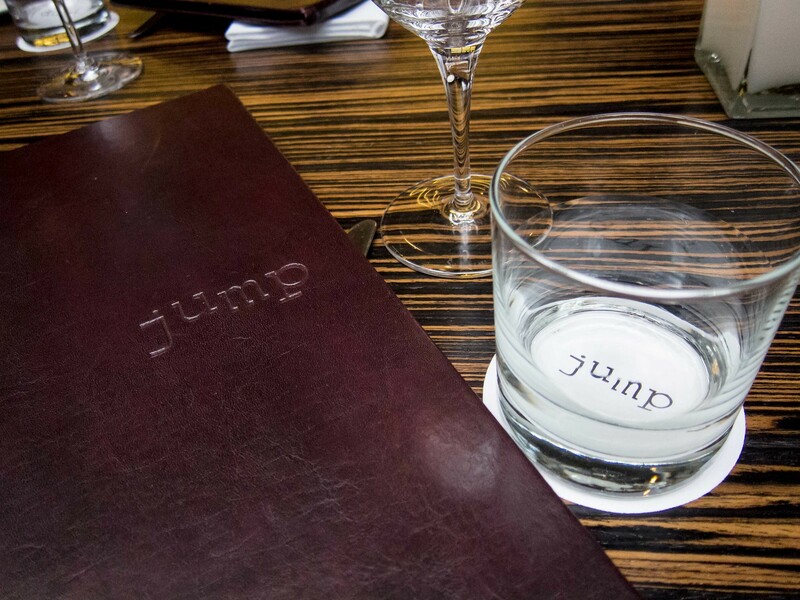 Atmosphere: Walking into Jump, I felt the decor was masculine and contemporary. I loved the wall of scotches and the glass wine cellar. 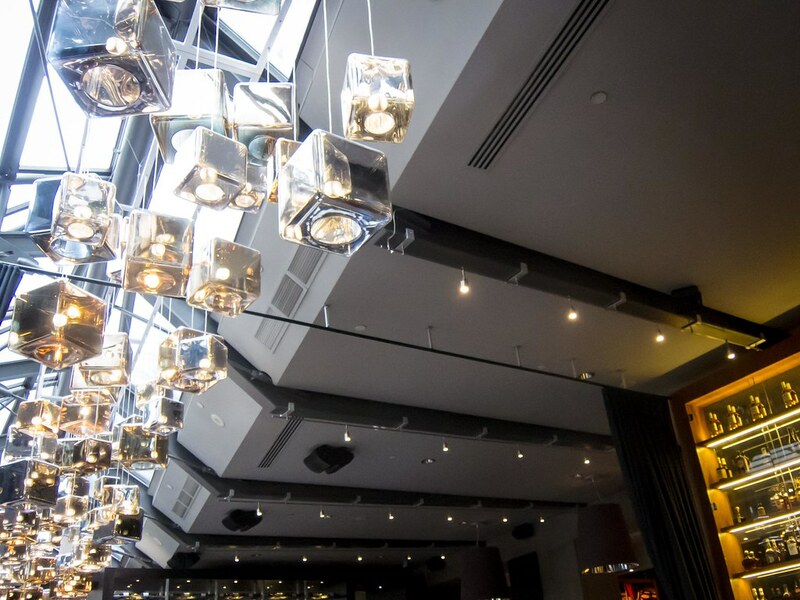 Cube pendant lights hung below the glass ceiling, which made the transition from natural to artificial light smooth and barely noticed. With the strong leather furniture, dark wood tables and dark wall drapes, I felt like a cigar and scotch neat were needed (although we went with wine for the table). Our fellow diners ranged from groups of Asian girls to older couples and families out for a nice meal. Service: Our server was outstanding. She was friendly, efficient and professional. 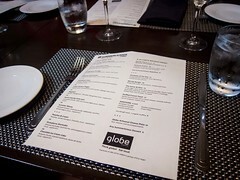 Water and wine glasses were kept full, each dish arrived promptly and we had no trouble having the bill split. One of my friends ordered the soup for her appetizer, didn’t enjoy it and our server was more than happy to switch her bowl for a plate of salmon tartare. 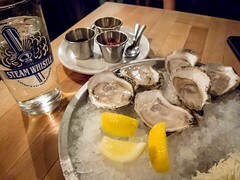 Food: As per all meals during summerlicious, I tempered my expectations. Even so, for a $35 dinner menu, I was disappointed. 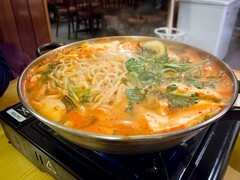 There was a lack of finesse to the dishes that may have been due to a busy kitchen but still couldn’t be overlooked. One friend had bones in his sea bream while The Fiance had greens that were yellow in his salad. These small details really put a damper on the meal. 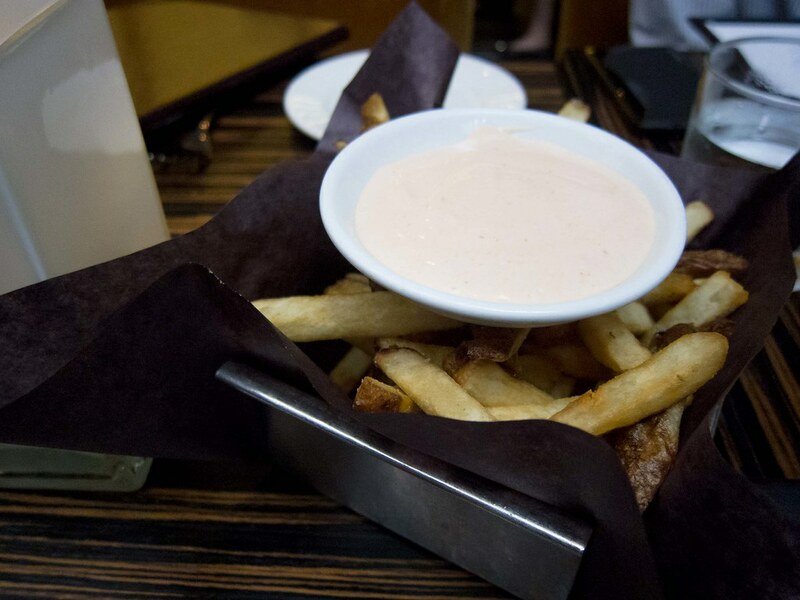 We started with an order of Jump fries while we waited for our entire party to arrive. It was a good plate to share and snack on. The tomato mayo was light and still more mayo than tomato. For appetizers, I ordered the Salmon Tartare while The Fiance had the Prosciutto Cotto Salad. 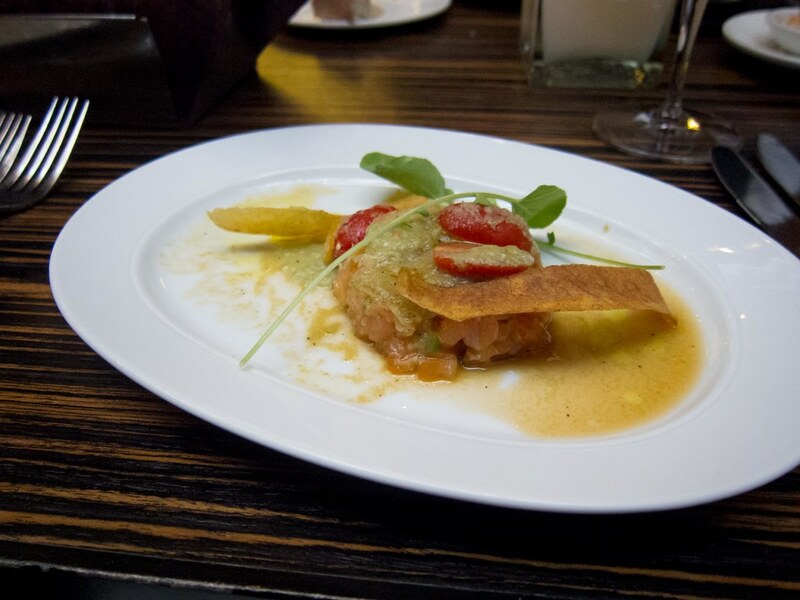 Between the two, the salmon tartare, an okay plate, was by far the winner. Every component of the salad dish was mild in flavour and I expected the green goddess dressing to be more tangy than it was. Entrees were better. 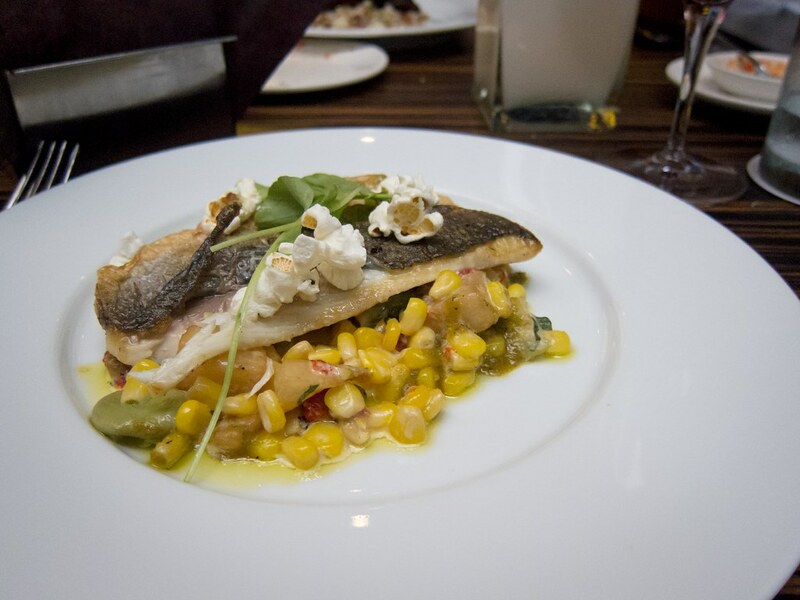 I enjoyed my broiled sea bream, which had a nice crispy skin and I liked the sweetness of the corn succotash. The fish was tender and flakey and the kernels of popcorn added a crunch. 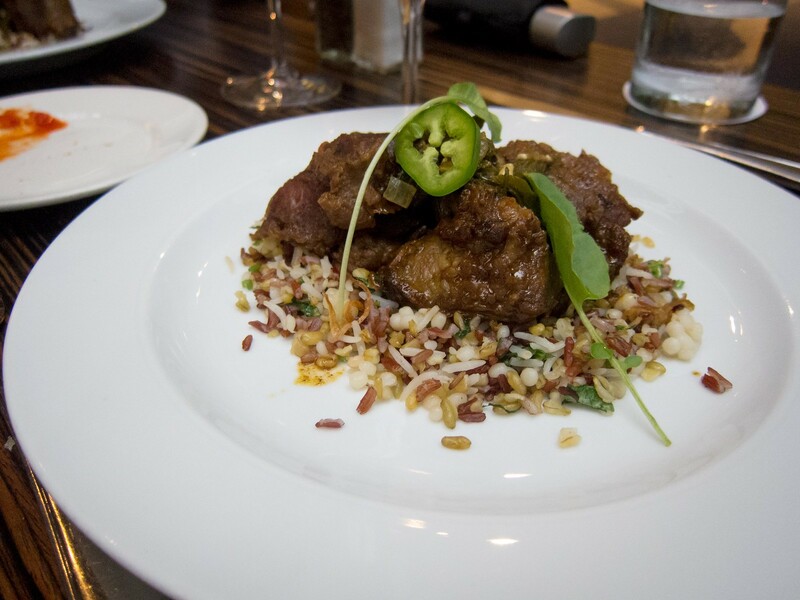 Both The Fiance and I liked the flavours of the Beef Cheek Vindaloo, but the piece I had was 90% tendon and hard to chew through. The level of spice was good, hot but not sweat inducing and the pilaf was a great blend of savoury and sweet. Dessert that night was the highlight. 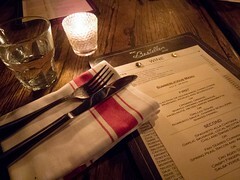 I chose the Buttermilk Panna Cotta while The Fiance had the Peach and Passion Fruit Trifle. Both options satisfied my sweet tooth with the trifle being slightly better with more texture in each bite. 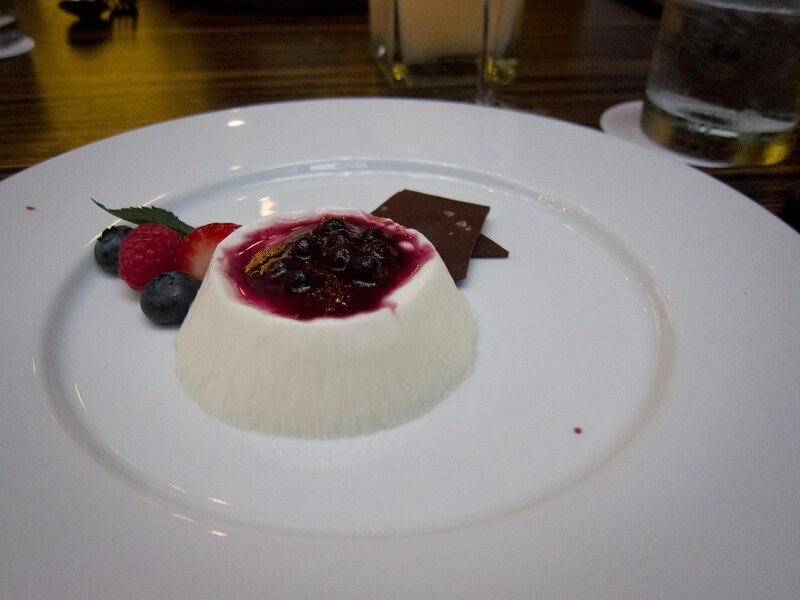 The panna cotta was rich, creamy and complimented wonderfully with the drunken blueberry sauce. 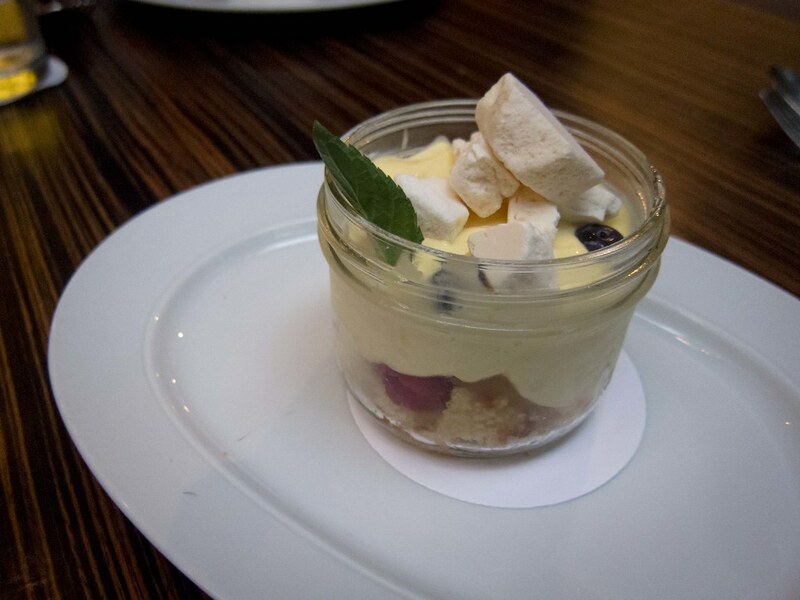 Each spoonful of the trifle was crunchy (meringue) and creamy (custard), and sweet (peach) and sour (passion fruit). 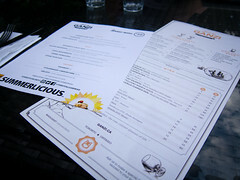 Based on this summerlicious experience alone, O&B has lots of other great restaurants I would re-visit or check out before returning to Jump.